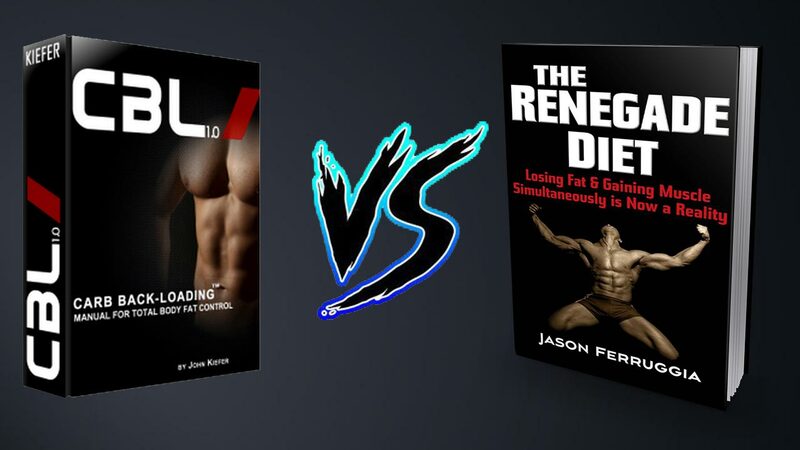 Ok, so you may be wondering how does Carb Backloading compare to the Renegade Diet. Honestly there are some similarities and some differences. I have tried them both, and for me personally I prefer the CBL because it seems like more of a lifestyle than a “diet”. The Renegade Diet, by Jason Ferrugia is more of an intermittent fasting diet. He took the IF premise and made significant modifications to allow for muscle gain. Both diets promote putting off eating first thing in the AM, but Jason makes fewer suggestions about carb timing. He does suggest the majority of them come post workout, but again Kiefer is much more thorough in this aspect. And since Kiefer has structured CBL to allow you to eat junk food regularly, and still get great results I just prefer his method more. Having said that they both are excellent diets. You will get results on either one. It is just a matter of what road you wish to take it. I posted a review of the Renegade Diet on another site, and it might help you to realize the difference between the two. For comparison you can check out the Carb Backloading 1.0 Video Review I did here on this site. Again, I honestly think that is a matter of personal preference between these two excellent plans. It wouldn’t make sense for me to tell you which one is better for you. We obviously are all different, and react to things differently. What works for one will not work for another. I can only tell you that I prefer the Carb Backloading Diet simply because it was easier for me to adhere to. And I got just as good if not better results as I did when I was on the Renegade Diet. The post Carb Backloading vs. Renegade Diet appeared first on Carb Backloading 1.0.